A new series of 10 inch vinyl records has been announced. It will focus on the connection between Elvis Presley and other music legends. Elvis Presley sang songs which were made famous by them or the other way around. 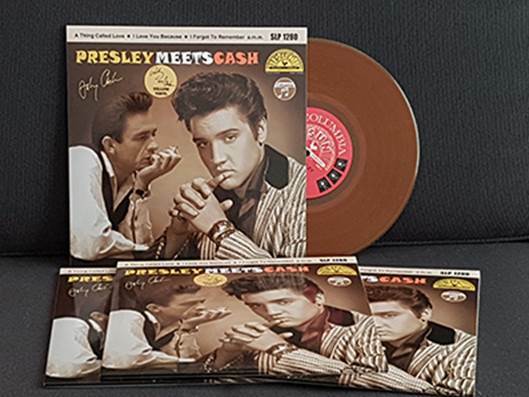 This new limited edition series will start of with 'Presley Meets Cash' on yellow and black vinyl, both limited to 200 copies. Are they bootlegs or "out of copyright" releases ?